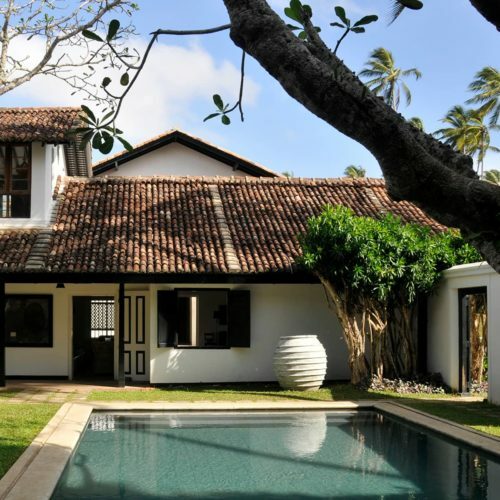 Originally an ancestral home, this property became Sri Lanka's first boutique hotel in the 1970s, when renowned architect, Geoffrey Bawa decided to renovated it. 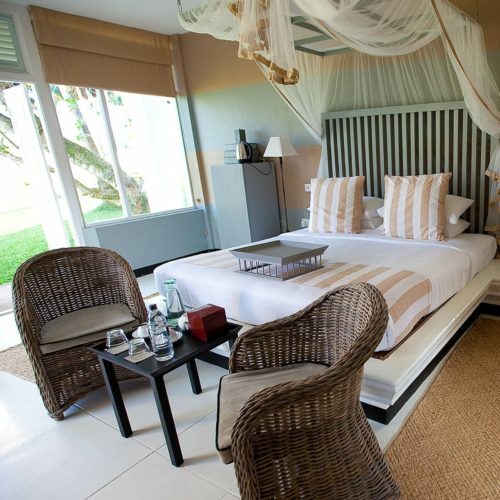 Now updated and extended, this boutique, beachside hotel offers modern amenities and services, set within 2 acres of land. 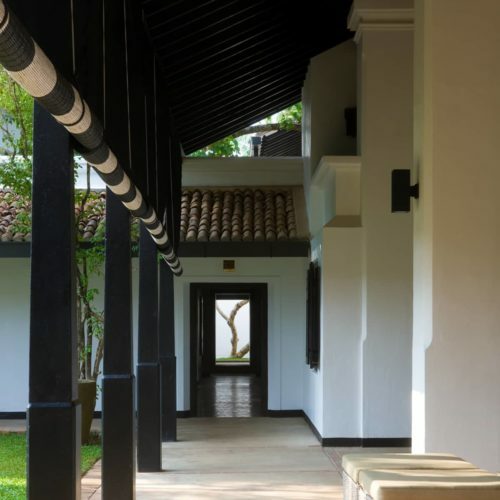 Individually decorated rooms and suites, showcasing modern furnishings with traditional touches, are scattered around the property to ensure the ultimate privacy, whilst balconies, courtyards and terraces let guests enjoy the surrounding grounds and views in peace. Enjoy fresh cuisine, such as lemongrass and ginger chicken and Wasabi Salmon with a cucumber salad, at The Villa Café. 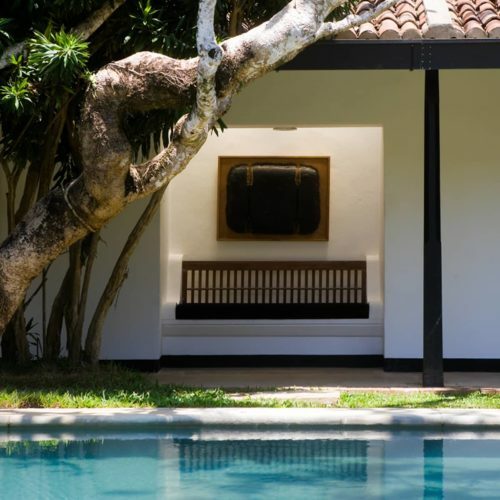 Or relax with a pizza or snack in whichever location you choose, be it in the large gardens or in the privacy of your room. 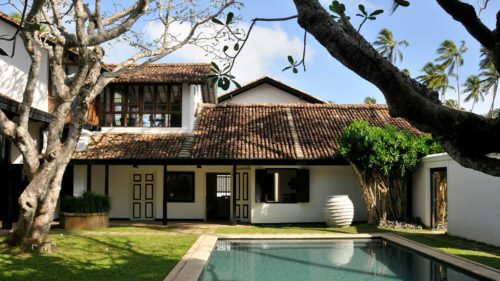 Visit the nearby botanical gardens, designed by Geoffrey Bawa's brother, or take the short journey into Bentota town, where shops sell local crafts, textiles and silver jewellery. For those feeling a little more adventurous, ask hotel staff about windsurfing and waterskiing on the beach.